Traveling with the family is fun and an opportunity to create amazing memories. It can be tricky though to keep kids interested in all the museums, hikes, plays, historical attractions, etc. But thanks to Winnie, it’s easier than ever for parents and their kids to travel the world together. Beyond the tourist things a city has to offer, Winnie lets parents discover things to do from children’s museums, cool playgrounds, kid friendly restaurants and lots more. Each activity comes with reviews from other parents who want to share their experiences and recommendations for their favorite places around the world. 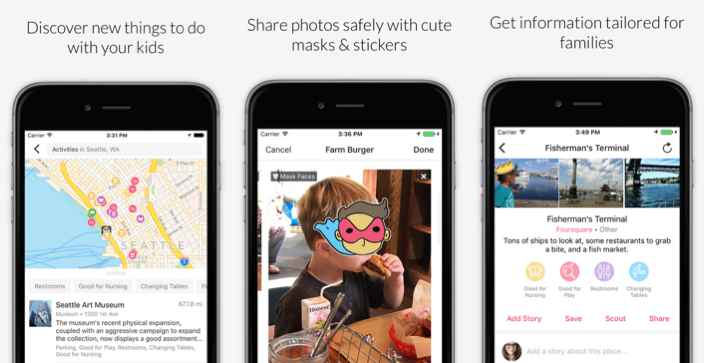 Through the app, parents can also share photos in a safe environment to show how fun these destinations and activities can be. Winnie works best in the United States for now, but is great for cities all around the world too. Winnie is more than a search site, it’s a community for parents to work together to find opportunities all around the world for their children.